Ian & Nicole's plans for a sunny backyard wedding had to alter (excuse the wedding pun!) a bit when it poured all weekend. But rain doesn't need to stop a wedding - and Ian & Nicole took it all in stride. They got married (and were so excited the jumped the gun on the first kiss! ), I waterproofed my gear (throwing a ziplock bag on your flash works wonders), and we braved the rain for some cool portraits. Kudos to Nicole for jumping in mud puddles in a white wedding dress! 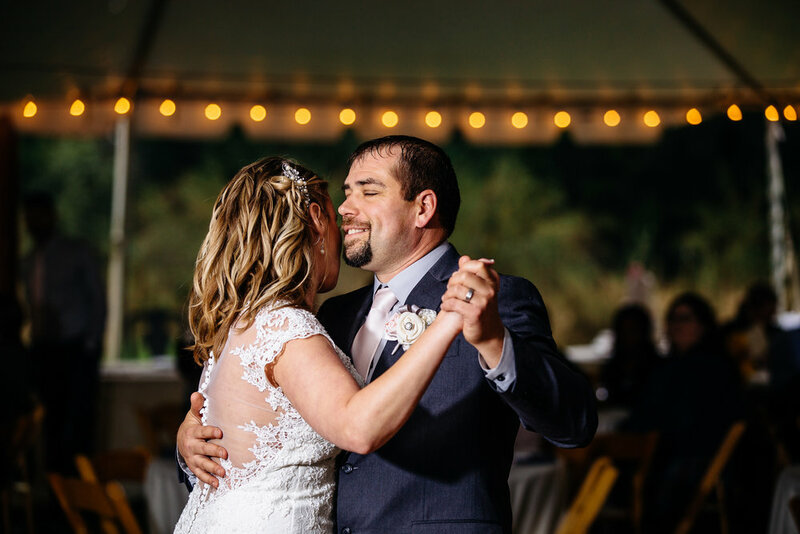 With some creativity and a willingness to have fun, rain or shine, you can definitely still have awesome wedding photos. Thanks so much to Ian & Nicole for trusting me to capture their day!